This poster was used as self-promotion by Carry Nation between 1901 and 1902. 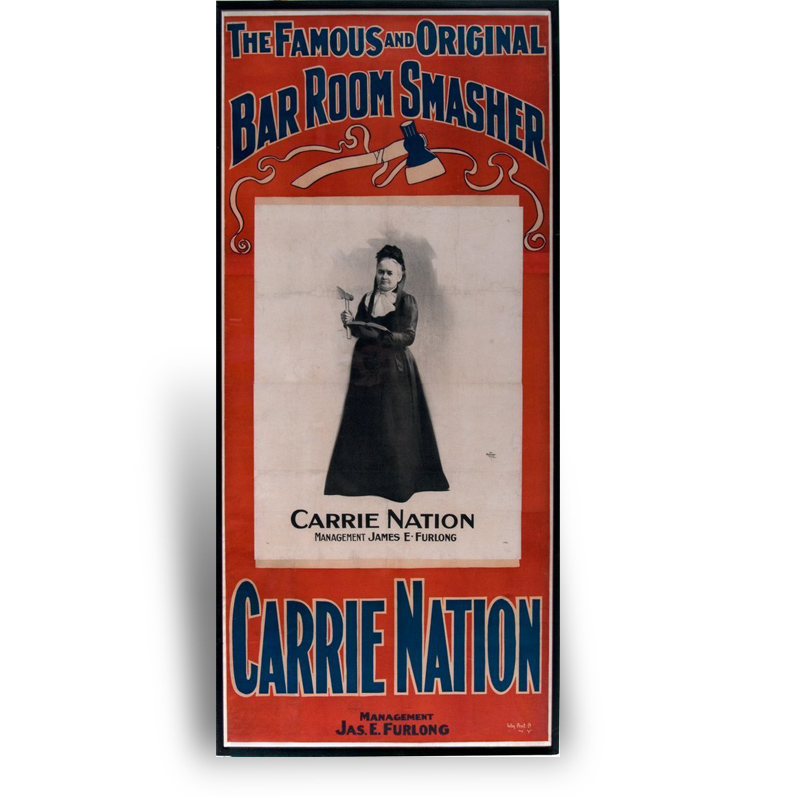 The temperance advocate changed the spelling of her name, from Carrie to Carry. The hatchet was her symbol, a tool she sometimes used to smash saloon fixtures. While jailed in Topeka for smashing saloons, she was offered bail by a promoter if she granted a lecture series. She agreed, was pardoned, and set out for Clarksburg, Ohio, and across upstate New York.